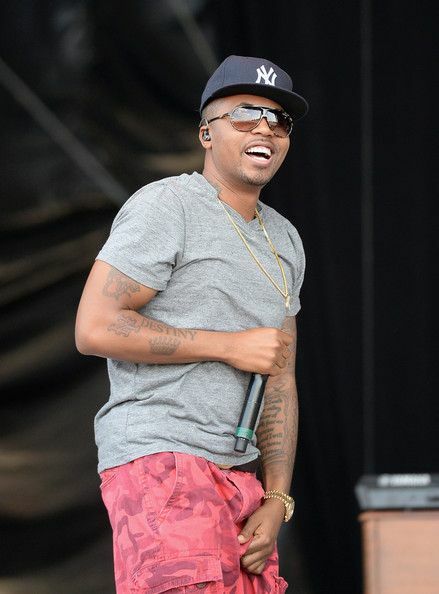 Rapper Nas has starting a fundraising campaign to help a single father of seven find a new home for his kids. Get the deets on the campagin inside and find out how much Nas kicked in. Also, find out about DMX's latest gig....and it's not behind bars! I am also a single father, and we don’t get enough credit in this country. I’m committed to helping Stanley and his seven (yes 7!) kids. Moreover, I believe and hope that we should all, as a community, come together to help our fellow American men and women when they need us in desperate situations like this. See if you can’t find a few dollars to help the Youngs get back on their feet with me. We need to raise enough to extend their stay, and maybe even afford a down payment on a new house or something. This is real. It is me. I’m putting in $5,000 myself. Never done something like this, but I have faith that our American community can pull together a miracle for this strong family who needs our help right now. And seeing that Nas has had his own fair share of fatherhood issues with is daughter and tax issues, it'sgood to see he's paying it forward after handling his own business. The last time we saw DMX, he was passed out in the back of police car in South Carolina (and it wasn't pretty). 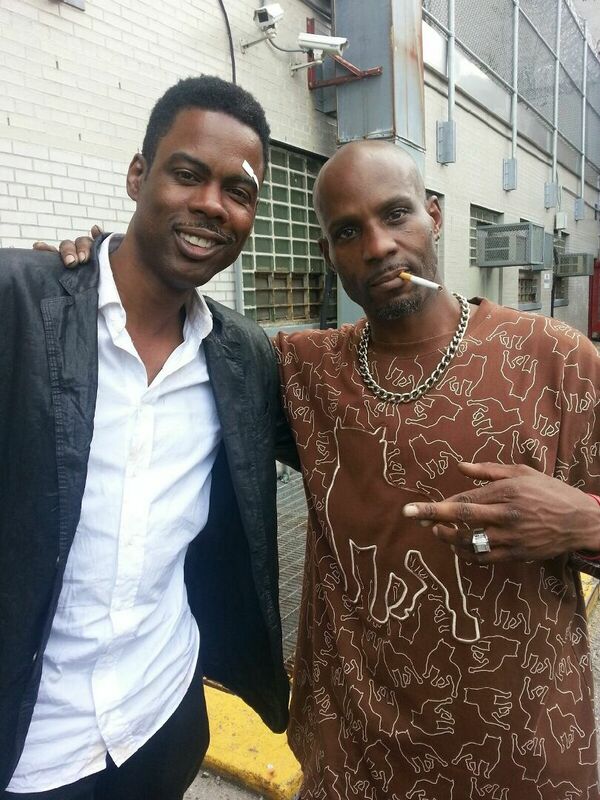 But now....the rapper has cleaned up his image (thanks to a few makeup artists) and landed a role in Chris Rock's new movie (which has undergone SEVERAL names changes). "The scene is comedic which allowed X to show off his versatility as an actor. X and Rock played well off each other and Rock's character even gets DMX to lead the inmates in a song. There are more acting roles to come and DMX is also planning on attending the Sundance Film Festival in January." And you still didn't update this sh*t. SMDH!!! Anyway the site to help the family is helpstanleyyoung.com. Love you Nas! I'm happy for DMX. Why do people continue to slam DMX?, this man is naturally talented in the Arts. DMX is using his God-given talent to start his life over, and no one should look down on that. All great artists are troubled or has deep seated issues, that's why they grow through pain. Michael Jackson had his issues, which he turned it into inspiration for his music and dance, videos, Tupac used his pain, life experiences and other experiences for his music, Bob Marley wrote about the struggle of the disenfranchised. There is nothing wrong with growing through struggles in this life, it only proves that GOD loves us enough , to hold our hand and see us through. Laugh at somebody today, you might find yourself in that same situation tomorrow. Hey girl, this is seriously some constructive criticism. First of all, this is one of my favorite blogs. There are a few places where there can be some improvements. Let's use this post as an example. Great story! It would have been great if there was a link or information about how/where we can donate. Also, there isn't a link to watch the full story. I don't think it's a good idea for you to incorporate links to another blog. That pulls readers from your site. Make sure your links open another tab on the reader's computer so that they can easily close it and return to YOUR site. Don't be so quick to post. Proofread and then proofread again. Turn on that spell check because you tend to have a lot of misspelled words. And I'm not referring to the words that are purposely misspelled for emphasis or humor. Again, this is a very entertaining blog so maybe these changes will make it more notable. I totally agree! and the ads and spam are really out of control. The mobile app definitely needs to be upgraded b/c I can never login and post a comment. But like you said, this is one of my favorite blogs.